Airline Norwegian is to pull out of Belfast International Airport. The airline has confirmed its last flight will be October 27 and had taken the decision due to lack of demand. It operates flights to Boston and New York. The budget airline announced routes from Belfast International to the US in February 2017, with flights beginning in July last year from as low as £69 a ticket. It will also end transatlantic flights from Edinburgh in March 2019 while Dublin services will remain. 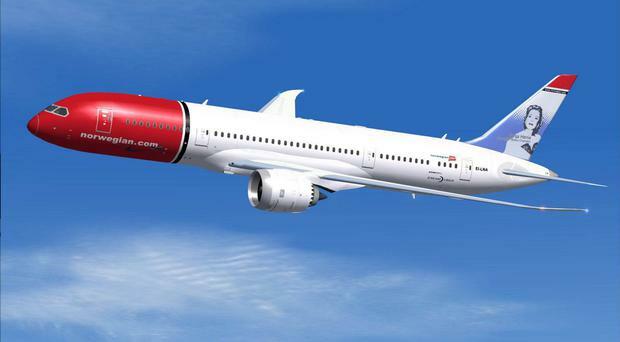 A Norwegian spokesperson said: “Following a comprehensive review of our services from Belfast in response to customer demand, we have decided to withdraw our routes from Belfast to the New York and Boston areas. "New York and Boston-Providence remain well served by Norwegian from Dublin, Shannon and Cork with up to 33 weekly departures, giving customers in Northern Ireland an alternative for booking daily affordable flights to the US." Prior to Norwegian launching its routes from Belfast, United Airlines ran Northern Ireland's only direct link to the US for years before poor financial performance rendered it unsustainable. A £9million rescue deal agreed by Stormont and United collapsed a few months before the route was halted because the financial package breached EU state rules. The route between Belfast International Airport and Newark Airport first began in 2005, operated by Continental Airlines. United took over the operation of the route in 2012 following a merger between the airline and Continental. A spokeswoman for the airport said it was "extremely disappointed" to lose the service and it was an "unsustainable" situation the Northern Ireland public now had to travel to Dublin for their nearest US flight service. Pointing toward the absence of the Executive, the airport said it was of "greater concern" there was a lack of any economically driven strategy which was creating setbacks. "The basic fact remains that the flight schedule provided by the airline from Belfast (two flights per week) was neither flexible nor attractive enough to appeal to the local travelling public," she said. "There is significant – and prospectively increasing – market demand between Northern Ireland and the USA / Canada, particularly focused upon New York and Toronto as gateways."